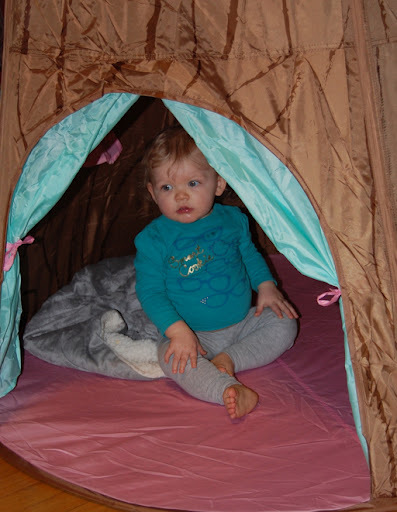 Isabel's new tent for her bedroom. It's a lot bigger than mommy thought, so it has to wait to go in her room until we do some re-arranging. The cars, however, like the tent a lot more than Izzy. 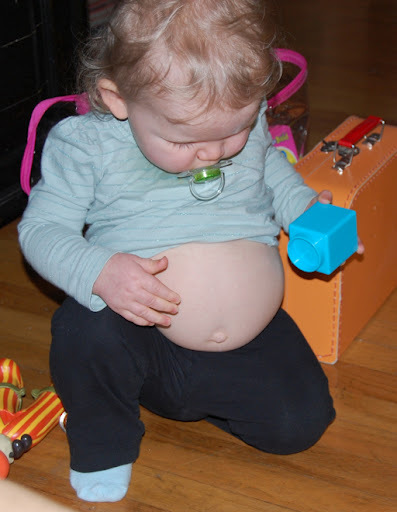 Hey Isabel, where's your belly? She knows where Olivia is, too! 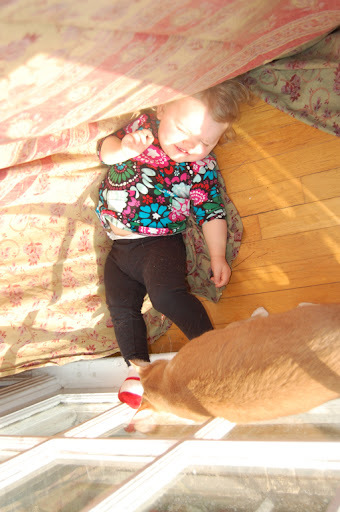 I adore this picture - I found Isabel rolling around behind the curtain playing with Clark. They are such good friends! 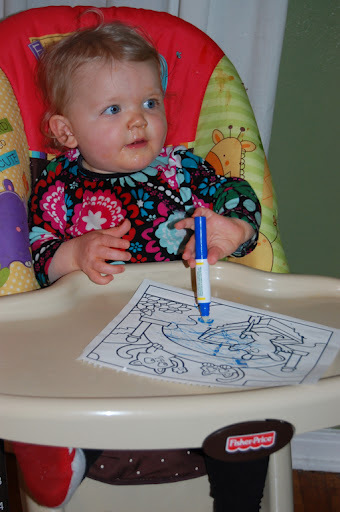 Isabel got to color for the first time today! She loved it and I did too! I for see lots of art projects in our future! 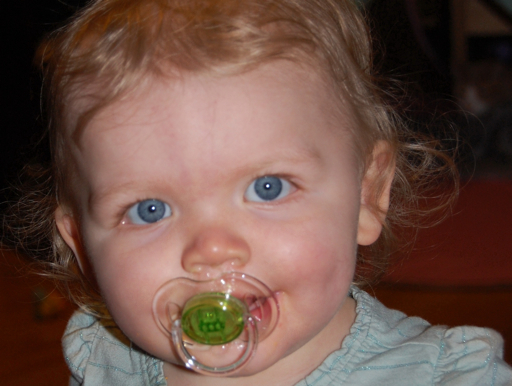 Cutest baby in the world!